There are many Internal Medicine jobs in New Jersey waiting for you! Doctor’s Choice Placement – Your #1 online resource for Internal Medicine Physician Recruitment! Internal medicine physicians are also known as internists or Doctors of Internal Medicine. Their main focus is to prevent, diagnose, and treat diseases that affect adults and the elderly. However, they will also treat adolescents on rare occasions. General internists provide disease prevention, focus on total body wellness, and help to manage chronic conditions and illnesses. Internal medical physicians are able to diagnose and treat a broad range of medical issues and are normally called upon by other doctors when they do not know what is wrong with a patient. Although internists do not perform surgery, there are some medical procedures that they are proficient in like mole removal, the use of scopes, and stress tests. Internists can work wherever there is a need. This includes a hospital, medical center, group doctor office, or private practice. Internists can be primary care providers, but they have very different training than family doctors. Internists are a great choice if you are an adult with a chronic disease like diabetes, rheumatism, or heart disease because internists like to care for patients for their entire lives. Internists do not come and go. They learn everything there is to know about the patient and then use that to help the patient stay healthy and live a long life. There are many open internal medicine jobs in New Jersey. New Jersey is a fantastic place to live and work. It is home to many big cities like Newark and Atlantic City and is at the crossroads of many Eastern states. Access to New York City is easy from New Jersey and all international or domestic travel is possible through Newark International Airport. With a population of almost nine million, there are many possible patient opportunities for any internist who wants to work in a medical center, hospital, or wants to open his or her own private practice. New Jersey is also home to many museums, art exhibits, and parks. There are many open internal medicine jobs in New Jersey. If you are a Doctor of Internal medicine and are looking for internal medicine jobs in New Jersey, you have come to the right place. Doctor’s Choice Placement Services, Inc. has a database of open Internal Medicine positions in New Jersey that you can consult at anytime without registration. The database is updated daily and all our services are free for any physician looking for positions that match his or her training and expertise. 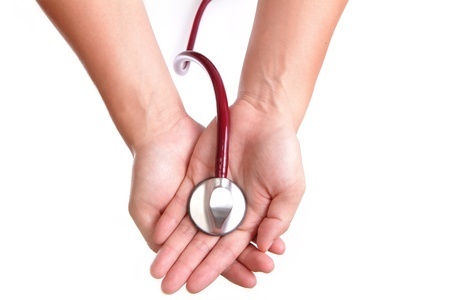 Doctor’s Choice Placement Services, Inc. has the means to find you the internists you need. We offer a physician search and placement service that we will perform without any fees paid until the job is done. If you have internal medicine jobs in New Jersey that you need to fill, we can help you. All you have to do is call us at (800) 510-0975, contact our New Jersey Internal Medicine Recruiters, or go to our New Jersey Internal Medicine Employer page. We are ready to help you find the physicians you need.